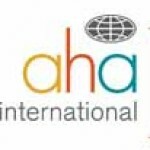 AHA International offers a summer program in Shanghai giving you the opportunity to take business courses while experiencing cultural immersion in China. This program is designed for undergraduate students majoring or minoring in business, as well as undergraduate students majoring in international studies with a business focus. This program is designed for undergraduate students majoring or minoring in business, as well as undergraduate students majoring in international studies with a business focus. The program allows students to take business courses while experiencing cultural immersion in Shanghai, one of the world\'s most important business centers. Coursework focuses on the specific case of China while helping students to develop their skills and knowledge for use in any business context, domestic or international. The program boasts a blend of hands-on learning and exposure to the unique business environment of China in general and of Shanghai in particular. Participants will also take a 1-credit course in Chinese language, helping them begin to develop an appreciation for the cultural context of business in China. In addition to the business and Chinese language courses, students will take a 2-credit intercultural communications course. This course is designed to provide students with an academic forum which supports them in making connections between their business coursework in the program, the program’s cultural activities and excursions, the cultural context of their Chinese language survival course, and their cross-cultural experience. Guest lectures, special seminars, excursions and company visits add an experiential element to the program’s core academic course work.